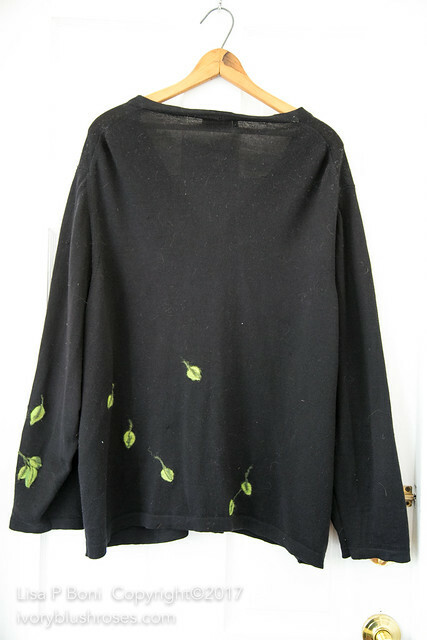 I have had this black wool sweater for close to 15 years and it is a favorite! I wear it nearly daily and it was starting to get worn and had developed a few holes. I looked in vain for a sweater of the same size and similar fit, but wasn't able to find one. Today, I decided to repair the holes in hopes of getting a few more years use out it! 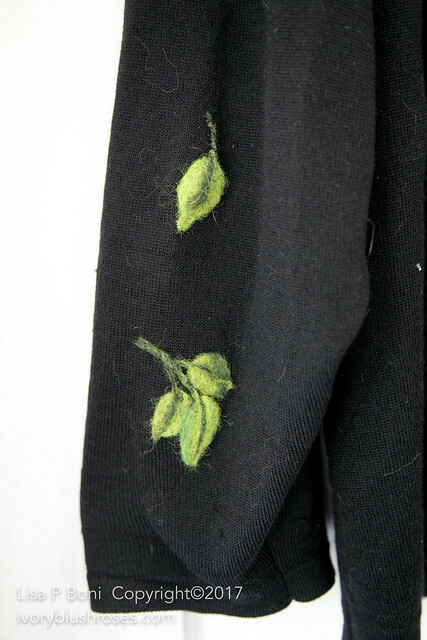 Every where that there was a hole, I needle felted a leaf over that spot. I love the way it turned out and hope that it will hold up to daily wear! So glad I was able to salvage it and turn it into something a bit unique! Wow, that is really lovely! Nice fix. 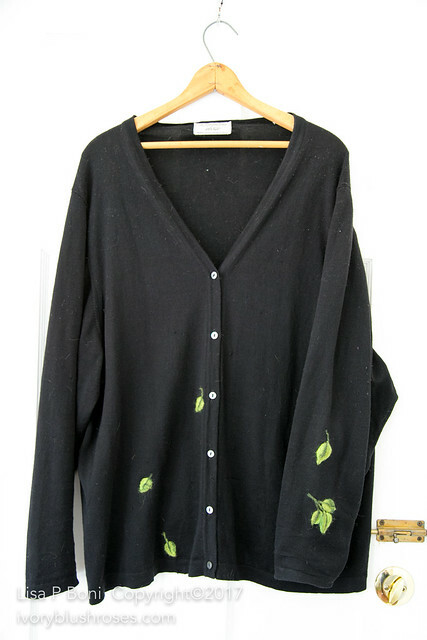 I have favorite clothes that I have "repaired" by various methods. I have never needle felted. It worked perfectly on your sweater! Nice save! Your felted leaves are great! Love it when you can save a favorite. How clever this is. Looks great and you probably feel like you have a new sweater. Perfect timing!!!! I was just getting ready to take the buttons off of my favorite cotton sweater. I will try this first. Thanks so much. I love the way yours looks. Just darling Lisa!! Thanks for sharing.